An ideal location for an urban lifestyle. Two adobe/frame stucco homes, zoned C-1 (light commercial/live-work) but is currently all set up for residential occupancy. Live in one, rent the other! Close to the Rail Runner station, Trader Joe&apos;s, Natural Grocers, Whole Foods, Sweetwater Harvest Kitchen and the Santa Fe Bike trail system. Each home has 2 bedrooms, a remodeled bathroom and kitchen, a wood burning fireplace and beautiful floors! 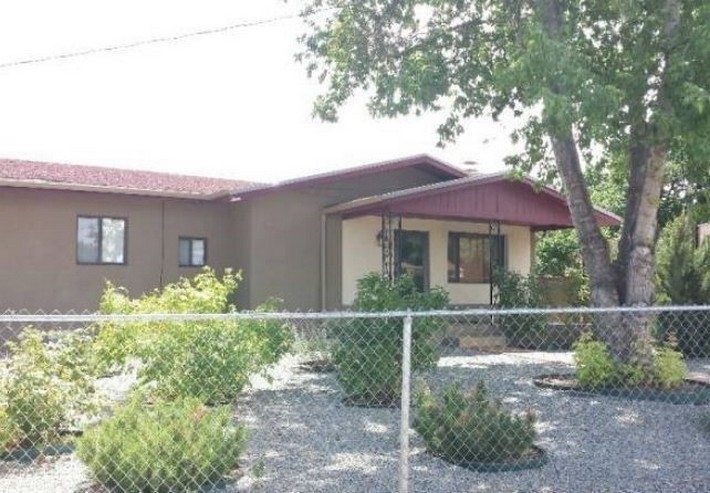 Plenty of off-street parking and a double carport. Recent stucco, furnaces and hot water heaters in both homes! EXCELLENT condition! The main house features diamond plaster walls, a beautifully landscaped front yard with rose bushes and trees designed for minimal maintenance! The guest house features a large, fenced in yard, great for dog lovers. Both houses are currently rented. The main house is 2/1, approximately 1206 sf and rented for $1350 plus utilities. The guest house is also 2/1, approximately 1124 sf and rented for $1400 plus utilities. Gas and water are on separate meters. Agent present and 24-48 hrs. notice required. Note: Pictures were taken before tenants moved in. Directions To Property: St. Francis South, West On San Mateo Rd., Rt. On Pacheco St To 1369 On The North Side Of The Street. Drive All The Way Into The Yard. A Lock Box Is On The Front Porch Railing Of The Main House And Another Is On The Front Door Of The Guest House.